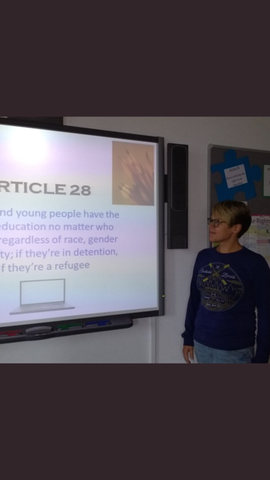 Right of the Month for September is Article 28, the Right to an Education. This is particularly important for staff and learners at the Bridge because nearly all our learners join us at a troubled time or perhaps during a crisis, having missed education for health reasons or not been able to access an appropriate education due to other barriers. We achieved Recognition of Commitment stage in March 2017 and by working hard to raise the profile of children's rights in all aspects of school life and ensuring our daily practice and policy reflects our commitment, we hope to achieve Stage 1 in spring term 2018. Parents and Carers have been introduced to Rights Respecting Schools and it is also supported by the Management Committee at the Bridge.